A model for providing affordable housing and outstanding community life for its residents. 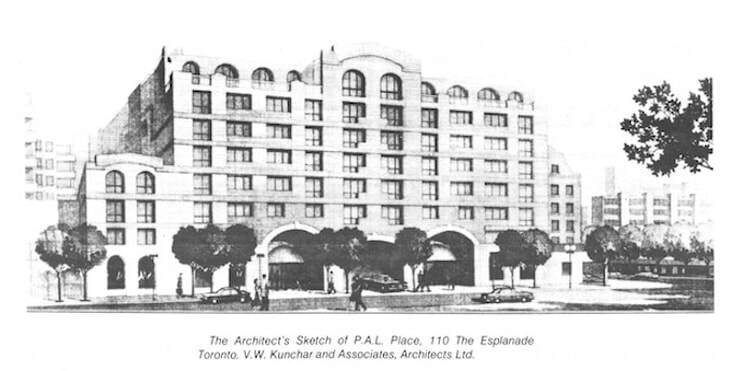 A nine-storey building on The Esplanade in the St.Lawrence Market area, PAL is comprised of 205 apartments. PAL is home to a remarkable community with a rich mix of artists: actors, singers, dancers, designers, directors, technicians, writers and administrators including both seniors and working artists. By making a donation to PAL Toronto, you are helping us to carry on valuable work in the Performing Arts Community. All donors receive a tax receipt for income tax purposes. We thank you for your interest and support of PAL Toronto. So many wonderful events for those that live in the building and friends. Every week there is something to do, see and experience. FIND OUT HOW YOU CAN APPLY...It is required that applicants for residency must have devoted the substantial portion of their professional careers to the performing arts and associated crafts. Get all the information and forms you need to apply hereere. Are you a PAL Member? Members of PAL Toronto have a vital stake in ensuring its future. If you are a PAL member, you can now pay for annual membership fees online!